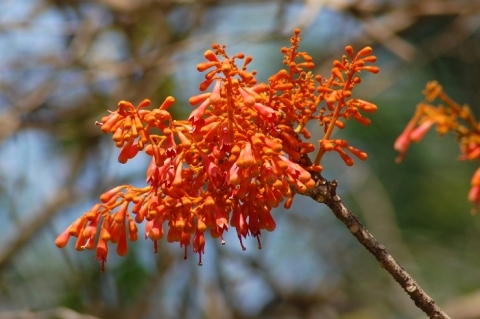 Erythropsis roxburghiana Schott & Endl. The tree is harvested from the wild for a fibre, which is used locally. E. Asia - southern China, Indian subcontinent, Myanmar, Thailand, Malaysia, Indonesia, Vietnam. Economic Products of India. Volume 1. Although over 100 years old, it still contains a wealth of information on useful plants. Many of the botanical names have been changed since then, so you have to check for up to date names. The book can be downloaded from the Internet.